U.S. stocks had the biggest one-day percentage drop since late June yesterday in a higher-than-average trading volume after poor results and outlooks from Dow components Wal-Mart and Cisco. Wal-Mart earnings were $1.24 compared to $1.25 expected. So we are not looking at a dramatic impact. Nevertheless, when the cycle points down, even good news is never good enough. Consumer and technology stocks were among the biggest decliners and Cisco Systems shares fell one day after the network equipment maker announced it was cutting 4,000 jobs. The CBOE Volatility Index <.vix> spiked for the day, but was still below 15 rising nearly 12%t to 14.55. Inflation ticked up with consumer prices rising broadly in July as new claims for jobless benefits last week fell near a six-year low, These are factors that would traditionally lead the Federal Reserve closer toward trimming its $85 billion monthly bond-buying program to stimulate economic growth. 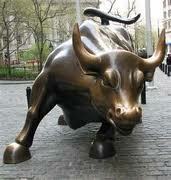 The Dow Jones industrial average was down 225.47 points, or 1.47 percent, at 15,112.19. The Standard & Poor’s 500 Index was down 24.07 points, or 1.43 percent, at 1,661.32. The Nasdaq Composite Index was down 63.16 points, or 1.72 percent, at 3,606.12. We still see this week as a possible temporary low. The first Weekly Bearish lies at 14805 so there is no danger right now of a serious sell signal. A Weekly buy signal would unfold if we saw a closing above 1537600 today. The next minor turning point will be week of 08/26 followed by 09/09. We should see high volatility after Labor Day. In gold, we need a closing above 1388.50 to keep the upward momentum. Some closing support lies at 1353.60 while the resistance is building at 1398 level. Support next week begins at 1336-1339 so we need to maintain a closing above that today. Next week is the turning point whereas this week may be the highest weekly closing. This was the target week in silver the computer has been projecting as illustrated above. The closing resistance stands at 2345 for today. A closing below 2295 will most likely warn we have a high in place. The major weekly resistance stands at 2882.A high this week may be followed by a low the week of 09/09. September is still a target followed by the Dec/Jan target. The Euro still has the major resistance at 13432 area whereas we have reached the 13399 level on 8/8 in line with the ECM. A daily closing back below 13232 will shift the euro back to a negative position, but there has been merely sideways churning for weeks buying time. A closing below 13309 today will warn that the upward momentum is starting to be lost. The turning points will be the weeks of 08/26-09/02 followed by 09/23. We still see September as the main turning point with a minor in November and the next major turning point will be January.